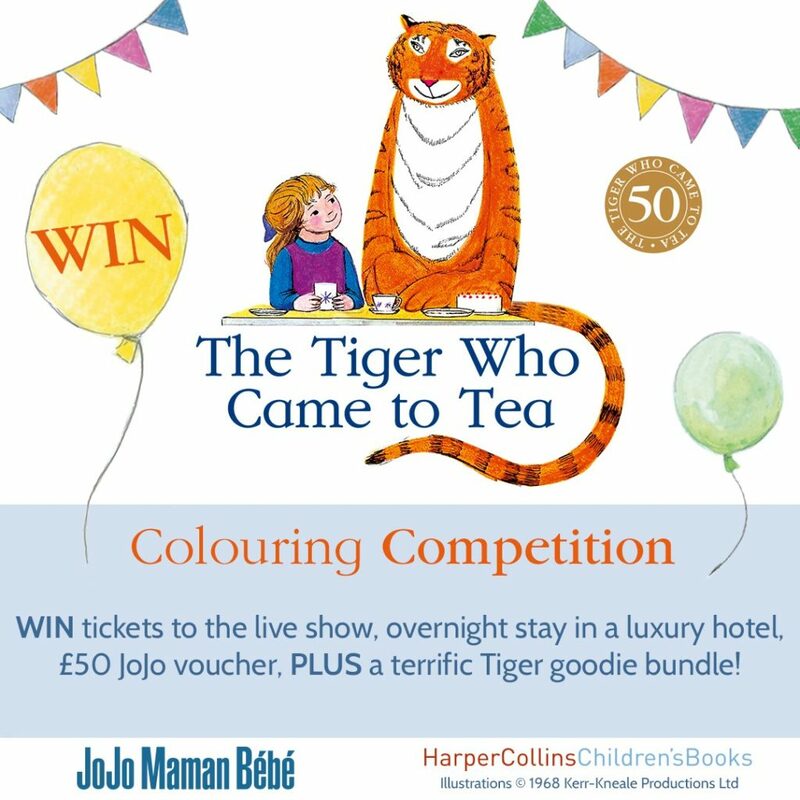 We have teamed up with JoJo Maman Bébé to celebrate 50 Years of The Tiger Who Came to Tea. A colouring competition is running in all JoJo stores, with the chance to win a ROARSOME prize: Family ticket to the live show, an overnight stay in a luxury hotel, £50 JoJo voucher, and a terrific Tiger goodie bundle. Plus, there are lots of runners up prizes to be won!